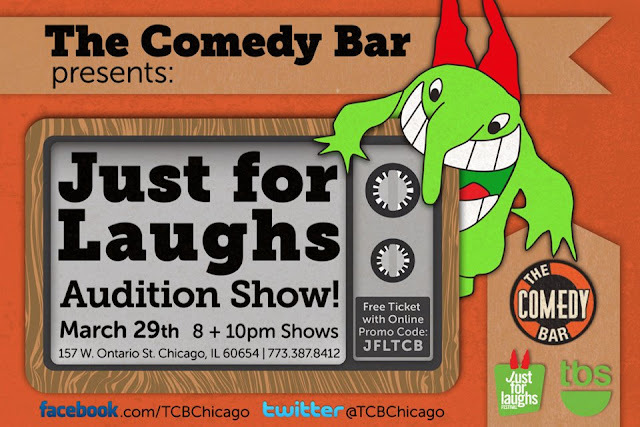 Comedy Of Chicago: Just For Laughs Callback Audition Show! Just For Laughs Callback Audition Show! The just for Laughs Callback Audition shows will be at The Comedy Bar this thursday. It's a ridiculously awesome line up of the some of the best comedians in the Chicago comedy scene at one of the coolest venues around. There are TWO shows at 8PM & 10PM. Get your FREE tickets now before they are all gone. Check out the INSANE line up.